Vienna is a place where the contemporary art scene mostly focuses on white perspectives. Artists of Colour and Black artists are kept mostly isolated from the contemporary art scene. On rare occasions they are invited into these spaces but under specific framework of having to fulfil white desires for “exotic” bodies of work. 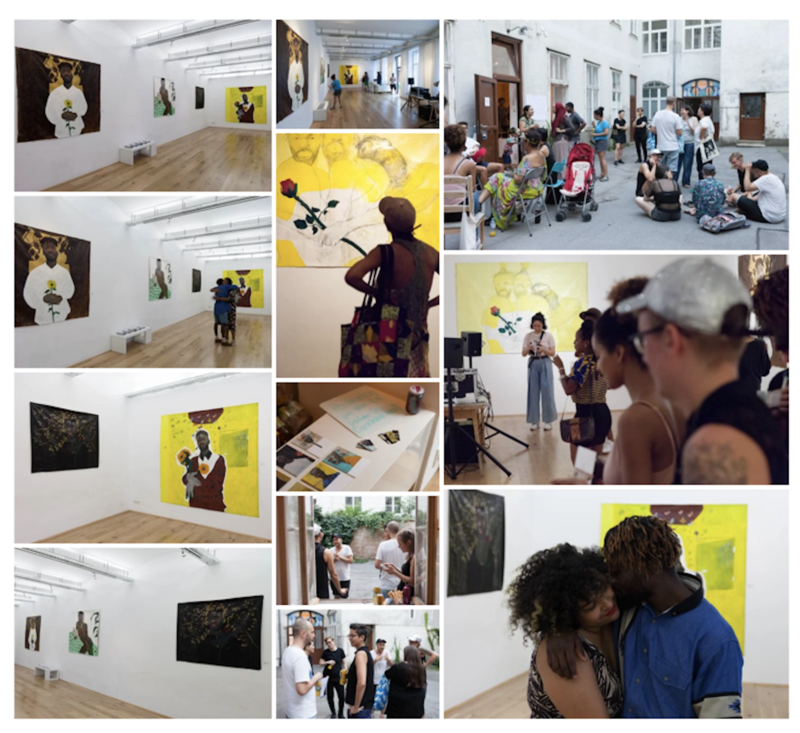 WE DEY X SPACE aims to change this uneven power structure within the Viennese art scene by creating a self-organised art space in which BPoC artists are able to speak up, to show their works in a self-determined way. Amoako Boafo and Sunanda Mesquita saw the necessity of searching for a community for and by Black and People of Color artists, a space to connect, to network, to discuss strategies, and empower each other. WE DEY– platform for contemporary arts — was founded in 2013 awarded with the kültüř gemma! scholarship of the city Vienna in 2014. In 2016 Jaqueline Ejiji became a crucial member and until today, the collective is still growing steadily. * in pidgin – an appropriation of the colonial language english which is spoken in former British colonies such as Ghana, Nigeria and by the West African diaspora both on the continent and living abroad.